The par 5 1st hole at Canewood is a ridiculous “L” to the right. I was taught that if you don’t have anything nice to say, you shouldn’t say anything at all. 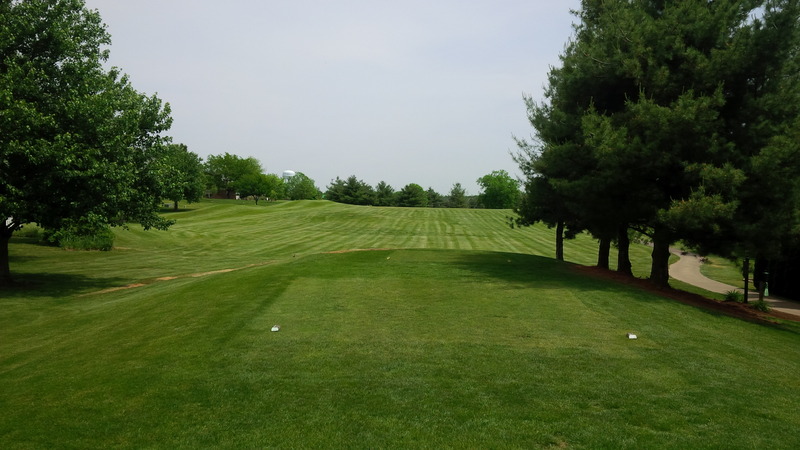 If I believed that, the rest of this column about Canewood Golf Course in Georgetown, Kentucky would simply be blank, perhaps with a collection pictures of the course left to speak for themselves. My first ever trip to Canewood in May will also be my last trip to Canewood. 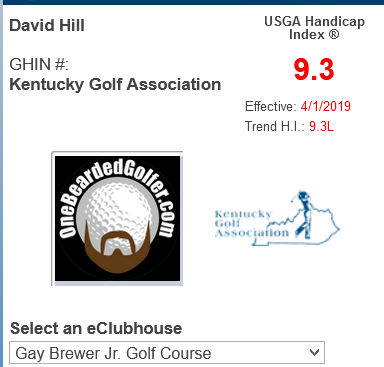 There are too many other good or great golf courses in Central Kentucky that are much more deserving of my golf budget dollars and time. Unless you live in one of the houses that abuts the course, I don’t think anyone should ever play Canewood for any reason. Ever. I wasn’t sure what to hit on the 1st tee, so I was left with this second shot, kind of needing to get around the corner. 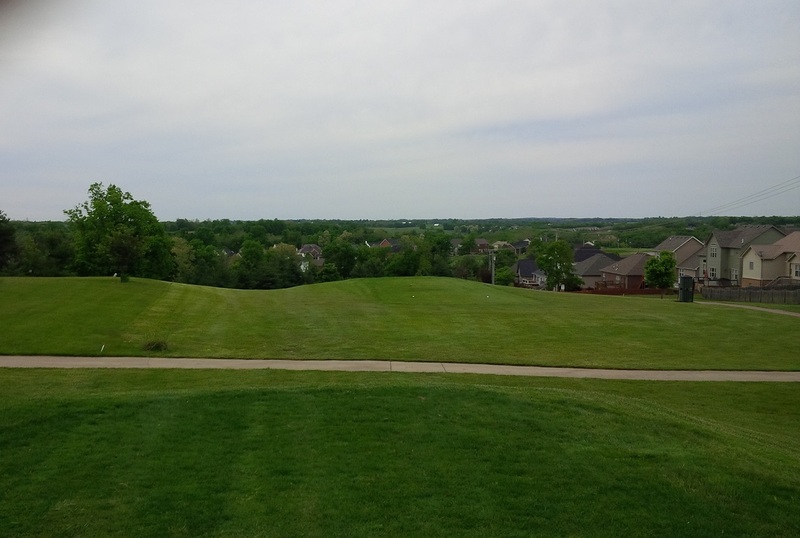 Designed by Danny McQueen and opened for play in 1994, the course is an unfortunate legacy of the 1990’s golf over-construction boom, when it seemed like every other residential development in Central Kentucky came with a golf course. I showed up at Canewood on an overcast Thursday afternoon to a mostly empty parking lot, which, in such a dense residential development, wasn’t necessarily alarming. That the pro shop attendant gave me such a hard look when I said I wanted to walk, despite it being just an additional $4.00 to ride, I was to learn, was the tip-off that this could be a long day on the golf course. This look at the par 3 2nd green reveals the conditioning of the fairly benign, unguarded green complex. My suspicions that something about the course may be amiss were confirmed on the first hole. The par 5 first hole set the tone for the course architecture for the rest of the day. 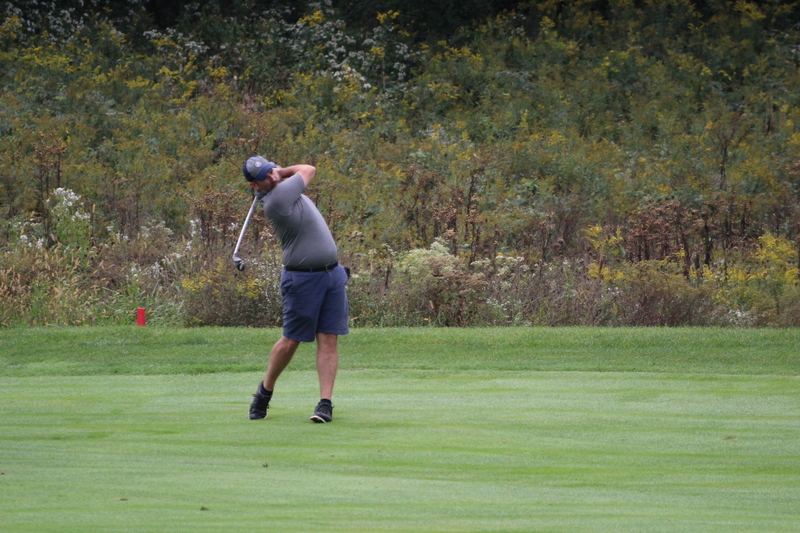 It’s not a dogleg right, not a slight bend, not a creative blind approach, but a blind, hard right angle, turning 90 degrees to the right, which begs for less than driver from the tee. 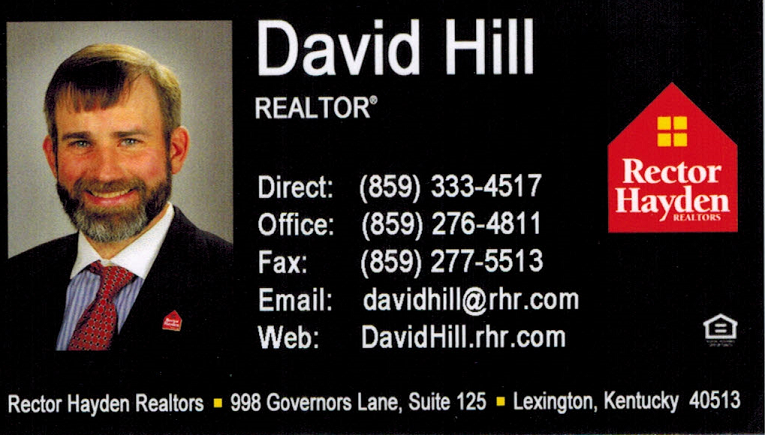 Yes, the long part of the “L” is found on the second half of the hole. It is without a doubt the weirdest and worst opening hole I can remember playing. The first tee, fairway, green, and rough were all a deep, lush green, a result of our wet spring and how incredibly shaggy each respective cut was on this day. One of the few truly interesting and challenging holes, the short par 4 3rd hole is guarded by a lake down the entire right side. I don’t necessarily have a problem with a shaggy course per se, but Canewood was so incredibly slow that it really was a distraction throughout the round. What’s worse is that these lush conditions were false advertising for what was to come later in the round. 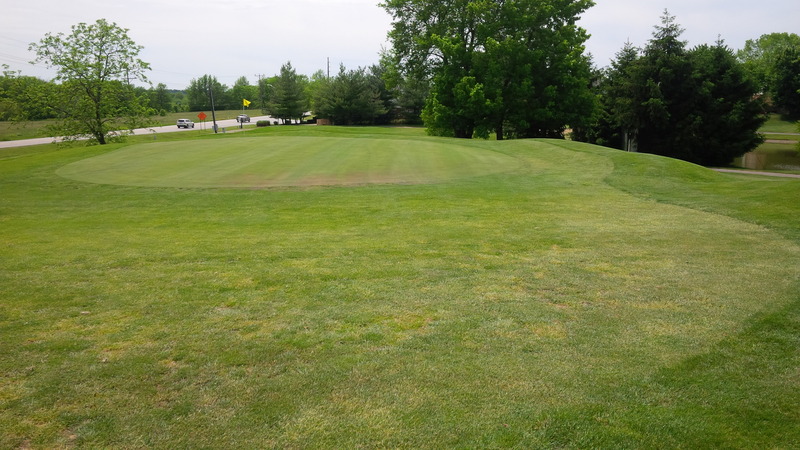 In general, the greens at Canewood round and flat. The size of the greens varies from fairly small to sort of large, but the general theme tying them together is that they aren’t interesting in the least. 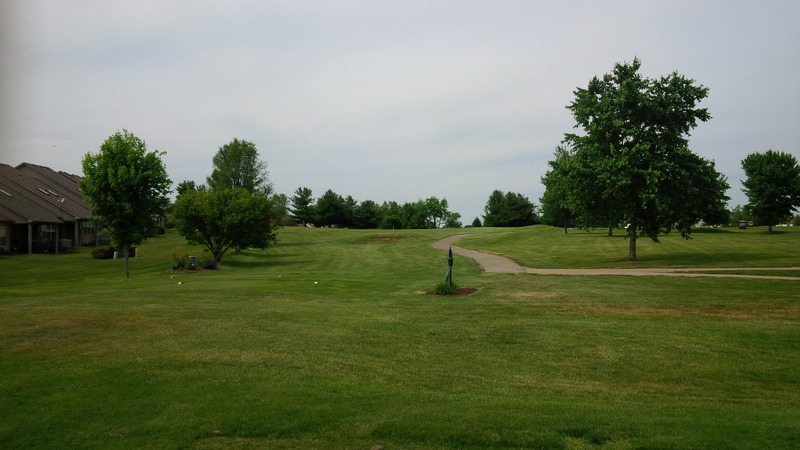 Each hole had perhaps one set of isolated hills or moguls guarding a fairway and one side of the green. Even with GPS assistance, the par 4 5th holes is representative of the uneasy feeling of not knowing where to hit what club off the tee at Canewood. The lack of distance of the individual holes creates a minor challenge figuring out the aiming point to accommodate the angles imposed by the ever-present housing development. Oh, sure, there were a few highlights to enjoy. The short-but-not-quite-drivable par 4 third hole presented a nice challenge, with a lake running the length of the right side of the hole. To the course’s credit, the bunkers, though shaggy around the edges, did have actual sand in them, as opposed to the commonly found rough mixture of sand, clay, dirt, and gravel prevalent in many lower end courses in the area. 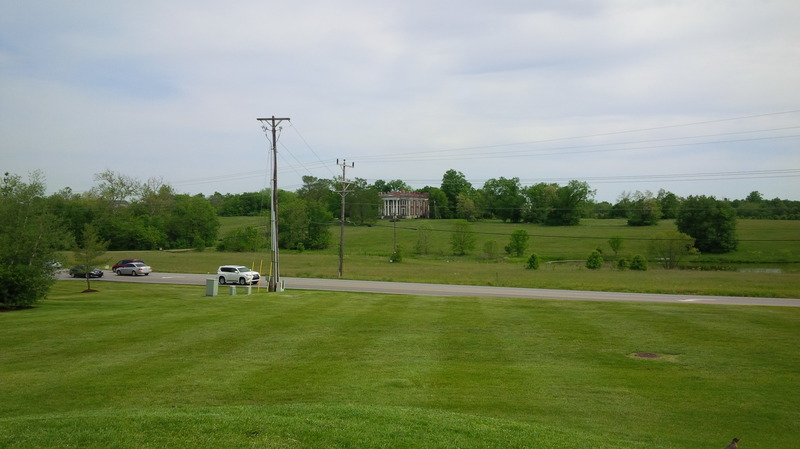 From the 2nd, 3rd, and 5th tee boxes, one has an outstanding view of the stately Ward Hall Manor, the antebellum Greek Revival mansion that lies across the street from the course. 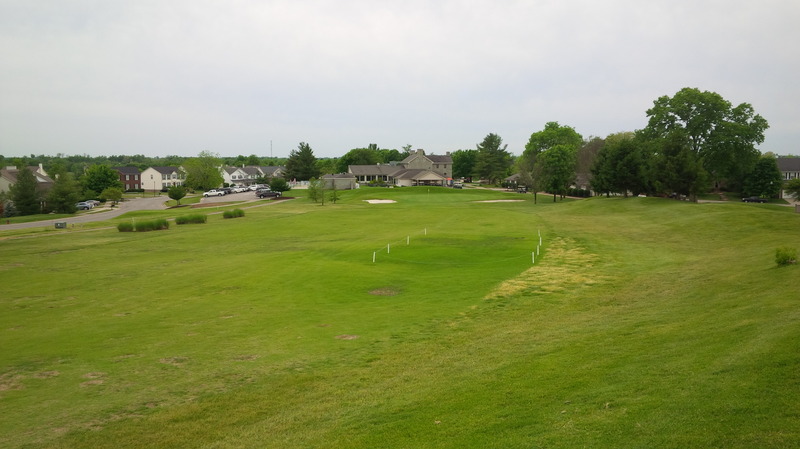 Also, the meandering bends of the North Elkhorn Creek found adjacent to holes 15 through 17 provide a serene escape from the omnipresent housing development that defines the majority of the course. The antique Ward Hall Manor was one of the few truly interesting bits of scenery at Canewood. Nonetheless, the disappointments far outweighed the excitements. With the use of temporary “tee boxes” on the sixth hole, all three par 3 holes on the front measured between 150 and 160 yards, leading to basically playing the same hole three times on one side. 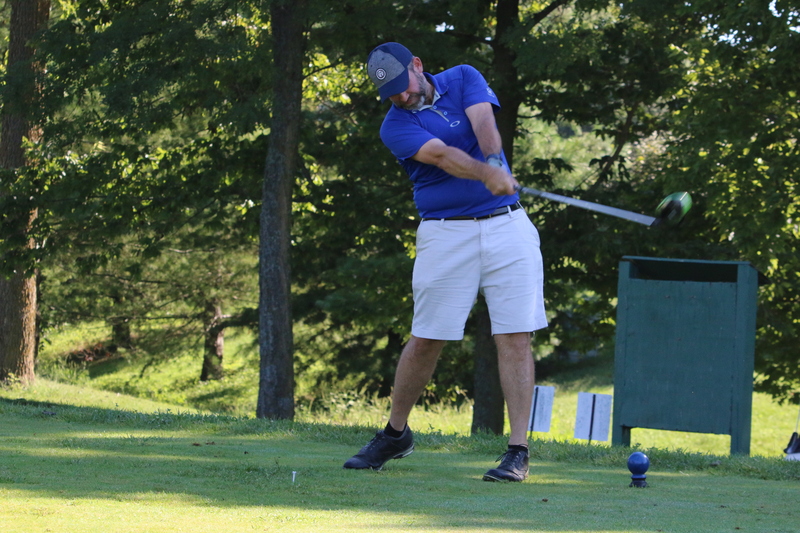 Some of the tee boxes that Canewood was utilizing shouldn’t have been used, as some appeared to have been not even close to fully recovered from a recent resurfacing. 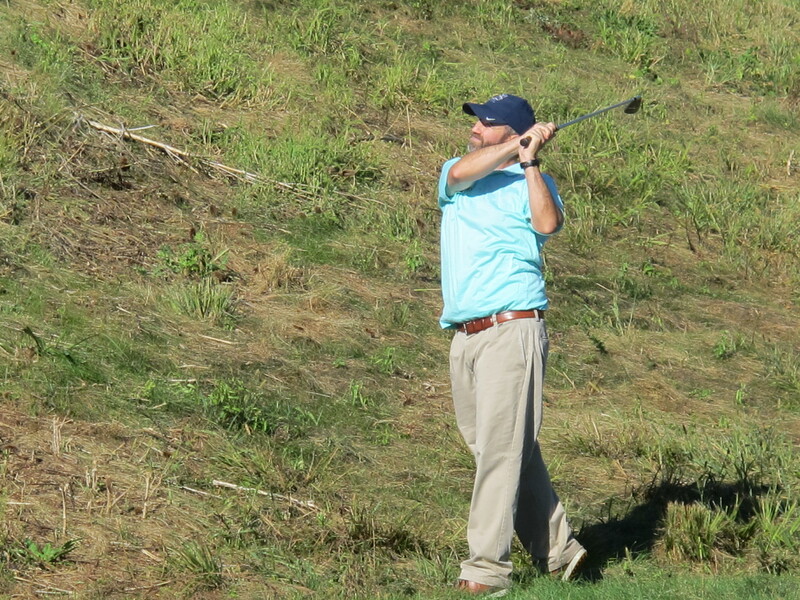 The temporary tee box of the par 3 6th hole was…disappointing. The routing of the intersection of the 10th fairway and approach, and the necessary walk backwards to the 11th tee creates an inherently dangerous situation. If there had been a golfer within two holes of me at that time, I would have been more than just a little scared just trying to reach the 11th tee safely. The par 5 12th hole at Canewood is its own special kind of disaster. From the highly elevated back tee, the downhill tee shot is almost completely blind, which I find a bit odd for a severely downhill tee shot. The “view” of the 12th hole from where I teed up my ball. Were it not for a few houses off in the far distance, the tee shot would have no context against the vast horizon. Due, presumably, to a change in mowing policy, the tee shot from the back tee of the 12th hole now requires a nearly 300 yard carry just to find the beginning of the fairway. 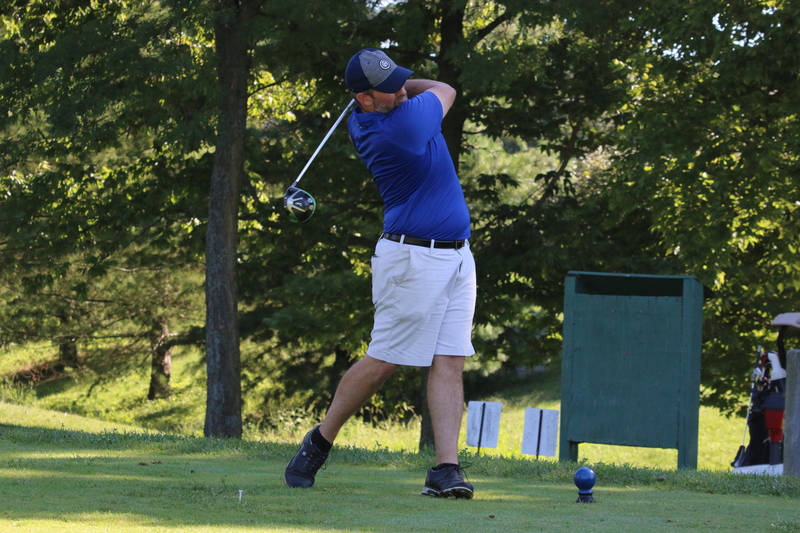 Granted, there is a severe elevation drop from the tee to the fairway, but the skilled and length required to reach the fairway is borderline unfair. Canewood also provides some of the most ridiculous green to tee journeys I’ve ever experienced. Not only can the jaunts be long and uphill slogs, some of the routes are poorly marked if there exists any directional signage at all. It’s going to be a long road back to respectability for Canewood, as evidenced by the condition of the 9th tee. 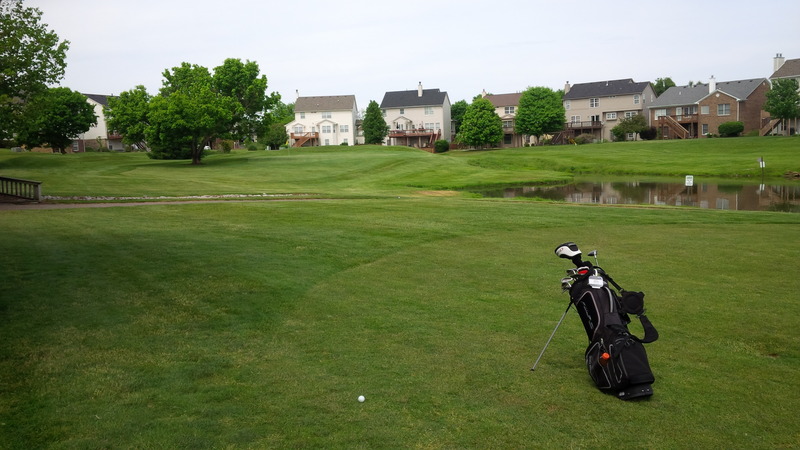 Standing on a residential sidewalk intersection, I had to pull out my phone and use a combination of Google Maps and Sky Droid golf GPS app to try to find my way out of the suburban sprawl and complete my journey to the 12th tee box. Perhaps it is because Canewood has a membership that primarily lives on the course, so they are intimately familiar with the course. Or perhaps Mr. McQueen thought no one would ever be dumb enough to try to walk the course. Either way, I don’t ever recall encountering so many blind tee shots on one course. 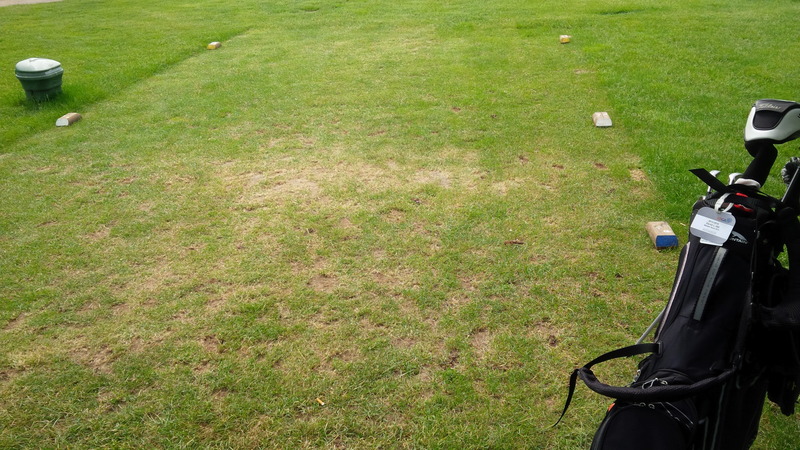 On more than one occasion, I walked at least 50 yards just to get an idea of where I should try to hit my tee shot. 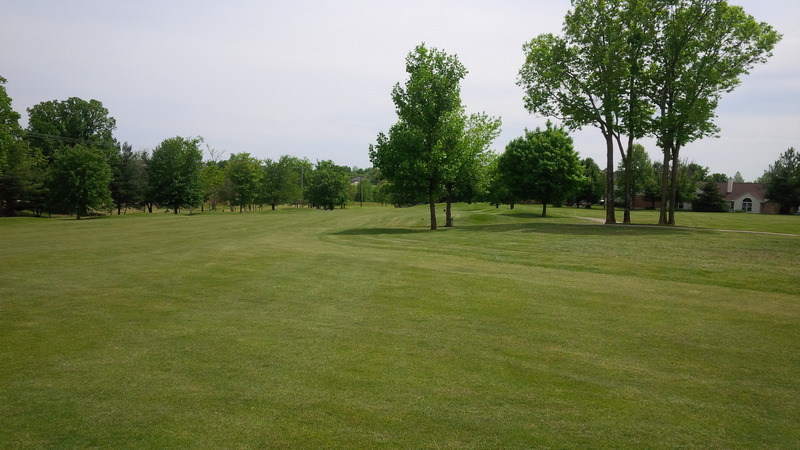 Some of it was owed to the naturally rolling terrain, which is actually quite nice, especially on the back nine. 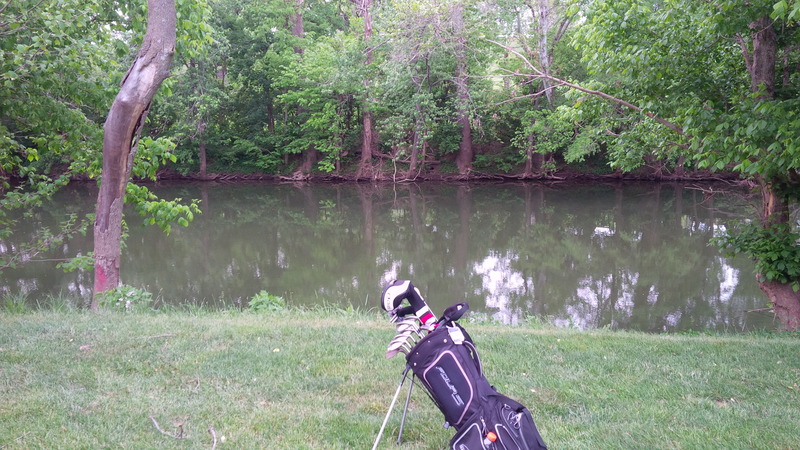 Apparently I play better the prettier the golf hole; #15, with the North Elkhorn Creek running the length of the hole, yielded my only birdie of the round. When I finally caught a few groups on the 17th hole, leading to a bit of a wait, I had a chance to chat up one of the local members about the course. Apparently there was a change in management last fall. 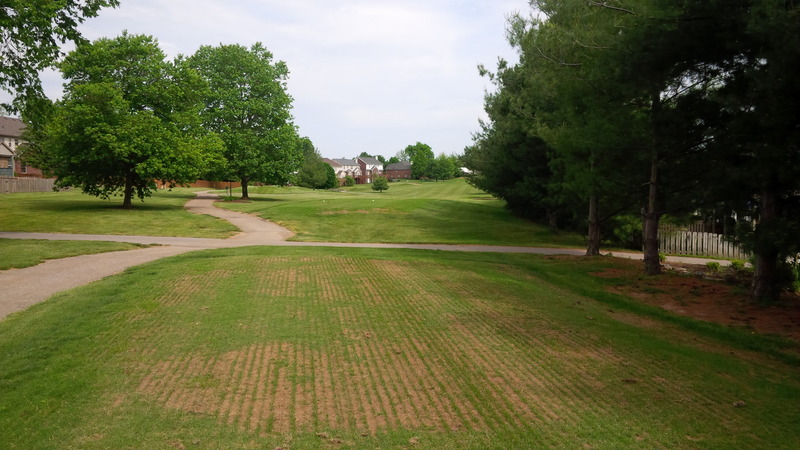 The course conditioning had steadily deteriorated over the past two seasons as financial pressure of the recession hit Canewood. The new golf pro has been given wide latitude to improve the design and conditioning of the course, a few small inklings of which that I did notice. The sight of the clubhouse beyond the 18th green was a welcomed signal that my time at Canewood was coming to an end. However, no matter how much bleached white sand they fill the bunkers with and how much grass they powerseed into the tees, fairways, collars, and greens, Canewood will still have one of the most awkward routing and collection of poorly designed holes I’ve ever played. I wish the course all the luck in the world for future success, but I’ll be sending those wishes from somewhere else.